Silent Disco Hire Manchester and Cheshire. Host your own Silent Disco. The concept has been around for a few years and is very popular among students and at festivals like Glastonbury, V Fest, etc. But now Silent Disco Hire is becoming more and more popular at birthday parties and wedding receptions. The beauty is a dancefloor full of people singing and dancing along to three different types of music. You could be rocking out to the Kings Of Leon whilst people around you are doing YMCA or even grinding to Drake . Great fun for everyone. Silent Disco Hire Packages are available with 25 up to 200 sets of wireless headphones. Press play on each of playlists and turn the volume to full. Your guests select between the three channels of music and can turn the volume up and down to suit. The transmitters cover an area of approx 150mtrs. 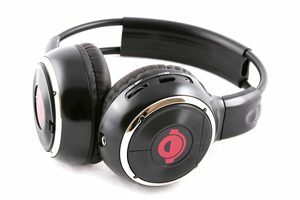 The Silent Disco Hire packages are available with 25, 50, 100, 150 or 200 three channel wireless Silent Disco headphones. The Silent Disco Hire headphones take 2 x AAA batteries that are supplies with the hire. Here is our current price list on 3 channel Silent Disco Packages with the number of wireless headphones to best suite your event.